A series dedicated to advancing training in all fields. 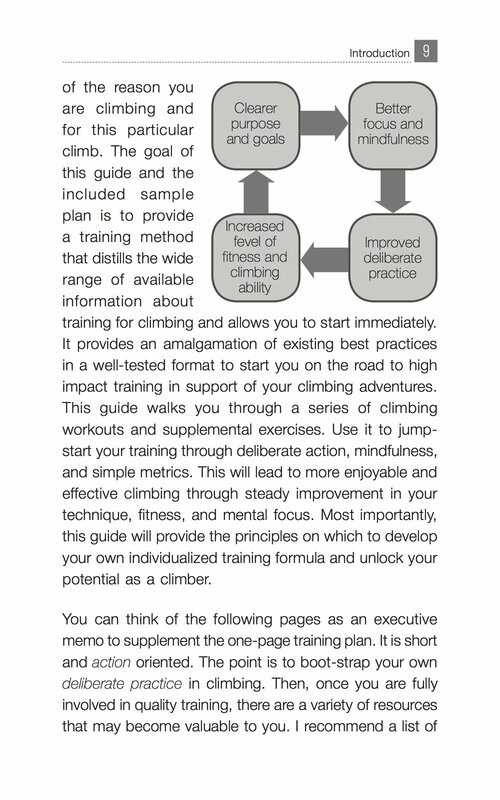 case: develop an engaging executive summary on training for traditional adventure climbing as the first product in a book series for individuals with interest in training. 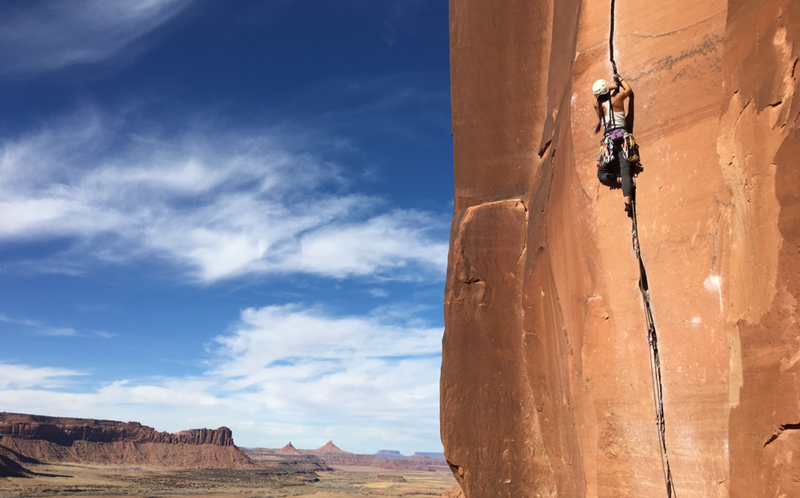 Combining the latest research on learning, mindfulness, fitness, and diet with on the ground testing, it starts climbers on path to expertise through mindfulness and deliberate practice. Products take a prime place in modernized learning. As we realize the full potential to learn from the world's combined knowledge and skill via networked sources of information and inspiration, learning products that inspire, curate, interact and provide instant feedback will become invaluable. Below are examples of such products. opportunity There are two important gaps in the training literature: 1. A lack of short introductory guides on how to start training for new practitioners and, 2. Simple, action oriented introductions to the interconnected nature of mindfulness, deliberate practice and effective training. case develop an engaging executive summary on training for traditional adventure climbing as the first product in a book series for individuals beginning to train. Combining the latest research on learning, mindfulness, fitness, and diet with on the ground testing, it starts climbers on a path to expertise through mindfulness and deliberate practice. Built for the all-rounder, but applicable to the boulderer or sport climber, this training guide offers insight into how to make better use of your gym time, overcome plateaus and prevent injury while maintaining a climbing first approach.Learn core training principles to design and implement your own training plan based on the latest research, tips, and tricks from the worlds top trainers. approach The book started as a series of training plan prototypes each rigorously field tested and revised to improve the core recommendations. Based on hundreds of conversations with new and established climbers on their experience at the gym, in the mountains and how they thought about training. As the need for a concise guide emerged, every effort was made to limit the number of words and clarify content through diagrams, key idea call outs, and links to existing video for clarity and opportunity for immediate action. 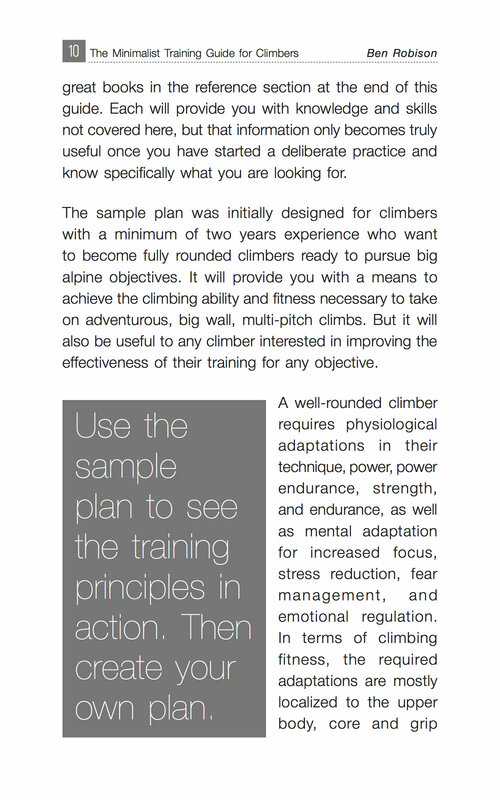 outcome The MTGC (minimalist training guide for climbing) addresses an open market for first time trainers and a content niche by addressing the connection between deliberate practice, psychological optimization and training. Page length and costs were kept to a minimum through extremely simple design and dense, but easily understandable, writing. MTGC is available now at Amazon and at select climbing gyms. 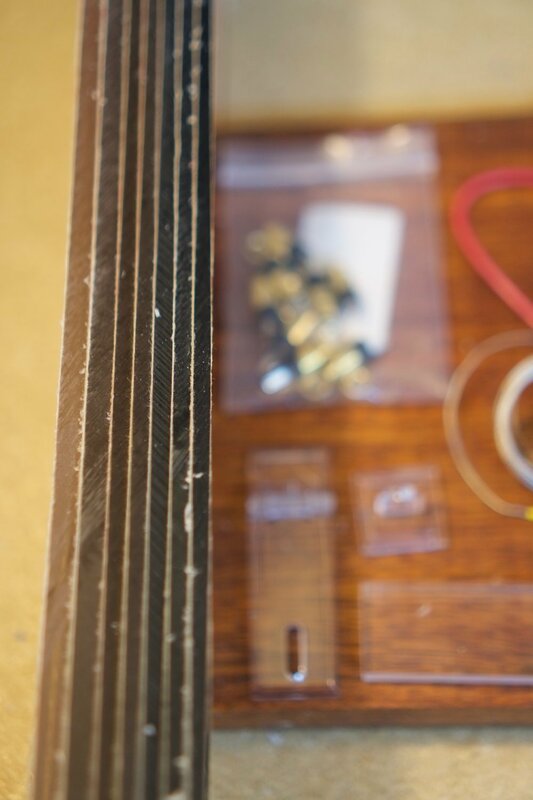 a minimalist instrument that strips away historical baggage to provide a new tool for creative exploration. an ice ax for the sound world. 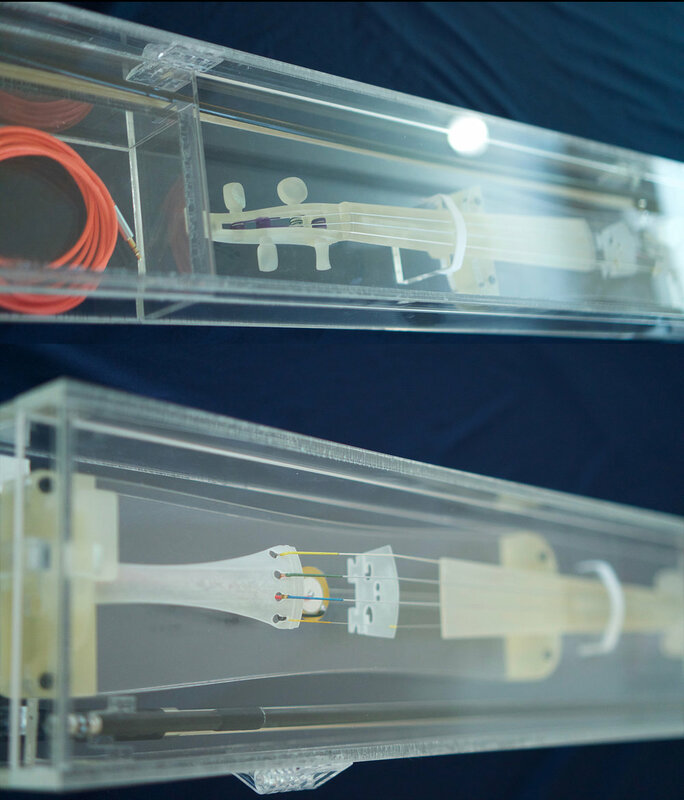 need a stringed instrument that can withstand harsh environments - a desert proof electric violin. listen considered years of existing electric violin designs and the sonic properties of acoustic and electric instruments. Field-tested dozens of available e-violins. noted that no electric violin can compete with a good acoustic on its own terms. define chose to prioritize a product that would inspire exploration into new sound worlds and would be durable. optimized for signal to noise ratio over typical acoustic properties. Focused on designing a modern instrument reflective of the digital and media infused world. prototype created a rough prototype in 2 days and immediately put it to use in outdoor concert venues. iterate with the basic design resolved after early testing, moved to a 3D modeled, printed and laser cut version affording easy customizability and eventual manufacture in plastic, polycarbonate and wood. outcome a violin looping rig to explore new sound worlds. displayed in a laser cut acrylic case ensuring a delightful and coherent presentation. business opportunities emerged directly from early play. After realizing the magnatism of voop in live testing, this project has become an attempt to understand non-scaleable, but high margin markets as well as design approaches to product, sales and marketing. A small corner of the voop graveyard may the fragments RIP. Each broken shard shared new knowledge and inspired new skills. Some quietly, some with a snap and a 'sssss' (there is still one out there in the vapor somewhere - amazing what high tension violin strings can do). Does anyone else love McMaster-Carr? What a great company and easy to use website, great service and fantastic selection of fittings. The negative space cat in this image was a happy discovery post laser cutting. The silent partner in the design process: the materials. Discovering their inherent properties, strengths, weaknesses, and unexpected beauties serves both as limit and inspiration. The project was designed to utilize a minimal number of parts and be extremely easy to build. If production ramps up, the plan is to utilize low impact and fair trade supply chains. And the tools: While the final product may not require this elegant peg reamer, I love that 400 years of violin design has made it almost impossible to improve on the existing technology except by moving laterally. Which is where this project went – away from closed-box acoustics and toward signal optimization. Pegs, the tailpiece, the bridge, and the button are all fully evolved and refined works of functional form. The initial two-day prototype: Neck and tailpiece from a $25 fiddle, thin cedar front and back, piezo pickup and some elbow grease. It sounded appropriately raw through a gravely tube amp! The complete touring rig was housed in a prototype case that carried all the hardware for live looping and video projection. Testing While conceptually pleasing, the big case was a BAD idea. A backpack and a slim violin case are much more ergonomic. This is a perfect example of minimalist design sensibility overwhelming common sense. Making complex curves with free software was suboptimal but sweat and perseverance won out. While the initial prototype in wood took less than a week, making and tweaking this 3D model took much, much longer. Question Can social gaming support healthcare education? These games represent the results of design research that emphasized a mix of contemporary anthropology and educational literature review. It entailed empathetic listening to the words from students and educators from the past 100 years with emphasis on the modern learner. Although the literature was often couched in scientific terms, these educators primarily written a series of design manifestos that represented the best theoretical thinking of the time. Current adult education practice is only just beginning to employ this knowledge, so there is a huge opportunity for meaningful listening, synthesis, prototyping and iteration. The training games and environments described below, based on the principles and models described on the education solutions page and in my other writings on learning, synthesize this knowledge and create learning processes rich with inspirational experiences and quantitative and qualitative data fundamental to education innovation. Medicine in a Box (MIAB) is an example of a core training product that forms the basis for a high-value healthcare education. The conceptual boxes are both the key learning materials that can literally come in game boxes, as well as the digital and physical environments, in which the education takes place. MIAB is being proposed as a series of authentic learning games that support high-volume deliberate practice in healthcare. They are a key component of a model for adult education founded on principles of high volume practice, psychological optimization and learner autonomy, and are conceptualized to provide delight, modularity, and ease-of-use in a variety of settings. The problem Healthcare education is currently highly inefficient, toxically expensive and worst of all, generally suppresses curiosity, wonder, awe and the motivation to become disruptive life-long learners. The voices Students and faculty from multiple schools of medicine, as well as faculty, administrators, educational technologists and funders in education, patient care, and quality improvement. Additional researchChildhood education literature, expertise and deliberate practice literature, organizational analysis literature. Synthesis Given educations challenges, what is the key first step to achieving a low-cost, high-quality health care education that inspires, while being efficient and effective? It needs to be easy to implement and provide a concrete product that can help faculty to communicate new learning design principles and rally support for education innovation. It should also provide meaningful data on student progress and program effectiveness, offer cost advantages, and train, at the minimum, at a non-inferior level to current methods based on existing assessment programs. Prototype and iteration The project started with a new course curriculum and progressed to an online virtual clinic then to a physical game as we realized students learn best by high volume practice in intermittently social settings that enable cross level interactions. Authentic games provide assessment and feedback with real-world implications. 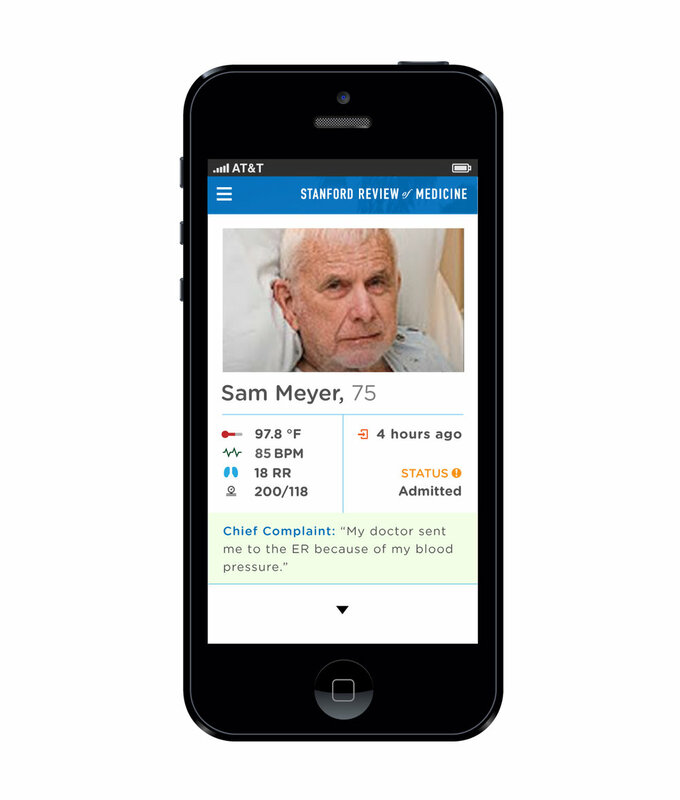 They serve as low fidelity simulations, support informal collaboration, provide meaningful data-driven feedback and offer multiple learning opportunities. Games will prove key components of future training environments and curricula. With them we demonstrate the power of inspiration, autonomy, and data driven feedback as precursors to mindfulness and quality deliberate practice. This early whiteboard for the development of a series of surgical management and reasoning training experiences resulted in part from participating in the surgical clerkship at Stanford and talking with numerous residents, fellows, faculty and staff. Each box represents a game that will allow individuals to optimize their training. 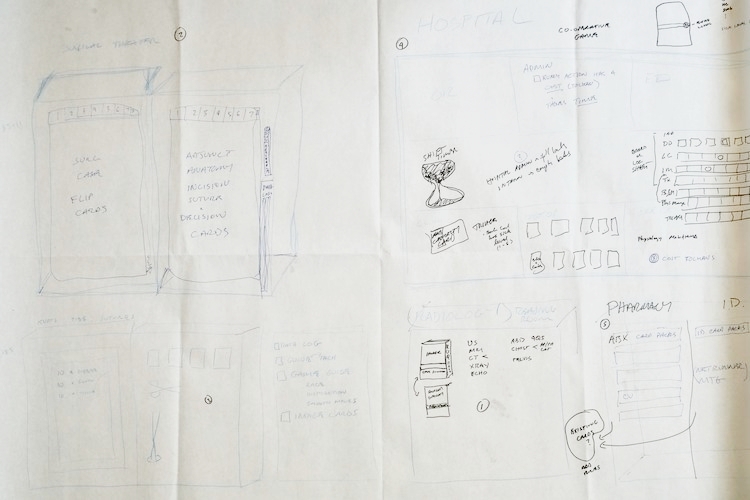 This ideation overview then propelled us back into the interview and definition phase for a deeper dive into Radiology and Surgical Reasoning games. Problem What are materials that will inspire and support quality deliberate practice, while decreasing cost and respect both teacher and student time? Listening Four years of medical school gave me a chance to do an in depth, if informal, study of hundreds of students as we struggled to learn medicine as well as apply personal intuition from recent experience. From numerous interviews, the single favorite experience of Stanford medical students was the small group emergency medicine simulations. They were dynamic, chaotic, and engaging. More importantly, learning happened at an accelerated rate for everyone involved. Unfortunately, this experience was scheduled only once in four years due to cost constraints. Another favorite experience was the CPX exam, a half-day that used patient actors to simulate the clinic experience. While a stressful, type 2 fun, students came away from these situations saying things like, "If only I could do this weekly," and “I learned more here than my entire first two years.” Again, only once in four years. A key take away was that students were immediately inspired by both these experiences to do further work and learning. Synthesis A low cost, automated approach to simulation is needed. An important realization from the definition phase of the design process was that the game mechanics and point system of the game must provide information about a real-world skill. Climbing gyms provided a good paradigm. By optimizing to different types and difficulties of climbs in a well-set gym, climbers can prepare for real-world outdoor climbing. The data is relevant. Games may or may not have that relevance. Tests as games, for the most part do, but are rarely used for self-assessment or are inspirational or fun. It would be our job to make sure that new learning games are fun, effective and authentic. Additional listening As we turned toward games, we assessed existing materials, student and faculty requests, as well as played numerous board and card gamers to understand the intellectual and imaginative values players brought to bear and the value different games provided in terms of story telling, atmosphere, physical engagement and game mechanics. Prototype An initial study for a card-based radiology game. Outcome Ongoing. From the beginning work on this individual game, the concept of lo-fi, lo-tech simulation emerged as a large cost win. When we realized that we could develop paper based games utilizing existing IP prior to digitizing, we created all the benefits of a tactile and social experience with none of the drawn out development time and costs associated with software. It has also become apparent there are a large amount of legacy media that could be licensed to create such games. Virtual clinic prototype faculty requested a design for a simple virtual clinic that would allow students to practice clinical reasoning. 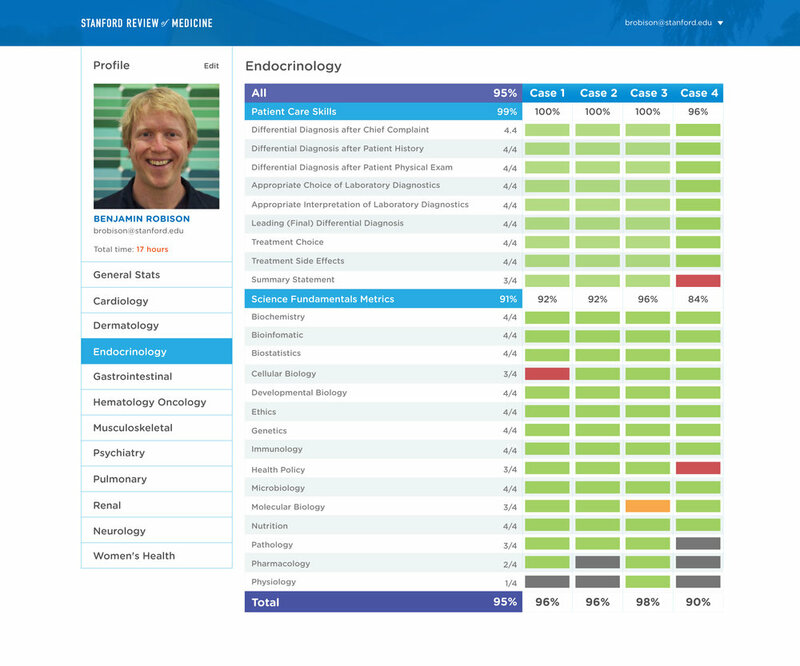 Outcome served as a useful set of resources for communicating the idea of high-volume deliberate practice with data rich feedback and stands ready for future implementation. A draft program for a two-story Medical Studio as a precision learning environment. It is a space ready for digitally enhanced collaborative learning and utilizes low cost and recyclable materials. It also provides open spaces informal interactions, smaller rooms for both lo-fi and higher fidelity simulation as well as variable seating, lighting, and projection technology; all to power the variety of use cases that will propel modern education. Erica Nobori, Min | Day Architects. Problem Current learning environments do not seem to support 21st century learning. Current healthcare training environments are not suited to autonomous, social, and individualized learning. Design Research Students are passive in lecture halls, are low energy with rooms with too many projection screens but without windows, are creatively stifled in spaces with low ceilings, are hushed or loud, interactive or distracted depending on acoustics. Theory supports the primary effect of environment on learning. Synthesis Teachers can best see their role as effecting the environment, such that, when students explore, they are learning. This concept is born out in numerous examples of fast paced learning such as climbing gyms and MMOGs (massively multiplayer online games) where learning is largely independent of a formal teacher. Ideation Along with updating the materials for learning, we need new spaces. In this, training gyms, design studios, early education spaces, and music schools are far superior to most adult learning spaces. The built environment must consider both the digital and physical. The two important aspects of the digital environment is a network of learning coaches of all levels that can be used efficiently and effectively. Learners in an autonomous learning environment must be able to access the necessary expertise in a timely manner, and experts must be used only as needed. The digital environment should also create zones of proximity between the various levels of expertise as they train, so there can be ongoing interaction and junior learners can “peer over the shoulder” of stronger practitioners. This takes place in the hospital environment, but should be an aspect of all training. Need The world needs more and more broadly trained healthcare providers. A strong and growing healthcare workforce is critical to health outcomes as well as social, economic and political stability in developing and developed countries. It advances local economies and builds a stable middle class, returning initial investments many times over. Unfortunately, many places in the world lack the training capacity to supply an adequate health care workforce. Simultaneously, the quality of US medical education has been stagnant. While the conditions have become more humane, there has been little change in the basic approach to medical education since the 2010 Flexner report. Approach The solution to both problems is to build a network of medical education studios, i.e. 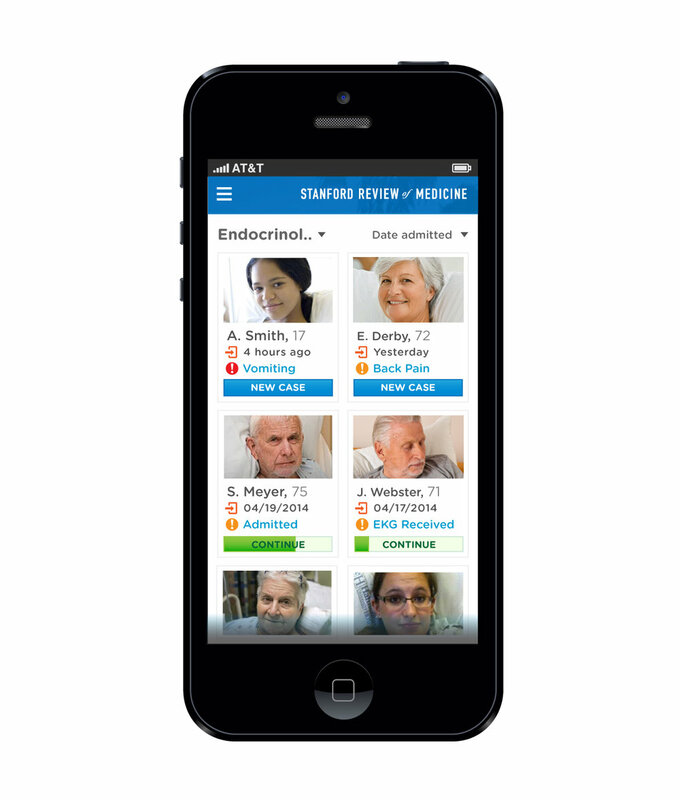 precision learning environments, that can efficiently and effectively train new generations of doctors, nurses and associated healthcare providers. Advances in our understanding of learning, training and skill acquisition, improved learning technologies, increased access to computing, and assessment data-enabled regulatory compliance now make it possible to provide innovative and high quality healthcare education at low cost. A network of low-cost, efficient and high-quality education studios utilizing a technology enhanced, high volume, deliberate practice-based curriculum to educate the next generation of innovative and compassionate health care providers and grow the global healthcare workforce is now possible. The Medical Studio represents a retooling of Maria Montessori’s classroom for the adult learner and is a lean and elegant education, designed from the ground up to meet the needs and demands of the 21st century learner and workforce by streamlining information delivery and quality improvement, increasing learning efficiency and making the highest quality education available anywhere there is need. From Stanford to Rosebud to Rwanda, these networked and modular studios could redefine individual and collaborative learning while ending disparities in access to the best possible healthcare education. Design consulting in service of health, wellness, and learning.